Unemployment has become a severe problem for the country. The job crisis of India is worsening day by day. It is not only a hindrance to the economic development of the country but also negatively affects the individual as well as the country as a whole. It acts as a curse to the society. People are struggling to find jobs. India currently has a population of 1.32 billion. Out of this population, there are more than 31 million people who are unemployed. A study conducted by the United Nations in 2017, projects a marginal increase in unemployment between 2017 and 2018 in India. It means stagnation in job creation in the country. It finds the economic growth trends lagging behind employment needs. Unemployment in India has increased from 17.7 million in 2016 to 17.8 million in 2017. It will continue to rise to 18 million in 2018. 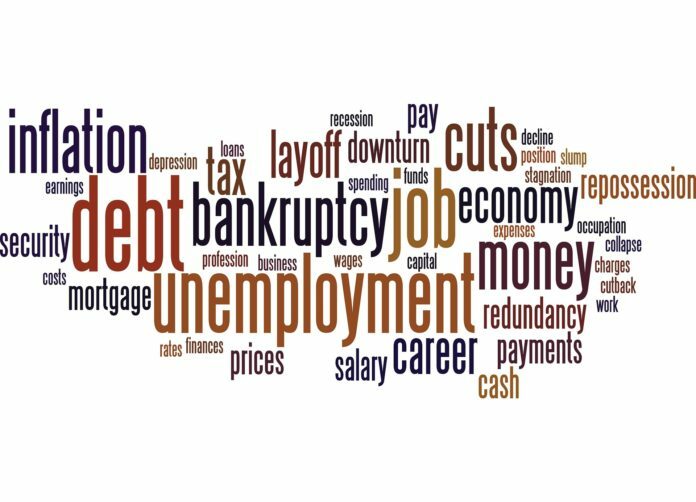 There has been rising unemployment and worsening social inequality throughout 2017. 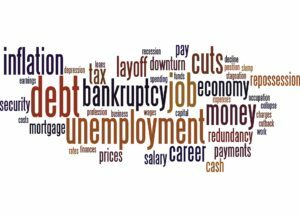 Numerous factors are leading to unemployment. Here are a few reasons mentioned along with their details. 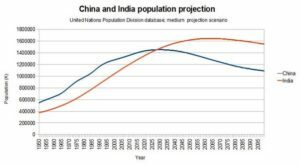 The population in India is rising at a massive rate. At this rate, India will overtake China soon regarding community. But this is it. Only the population increases but not the job opportunities. Overpopulation is the leading cause of unemployment. The above graph shows a steep increase in the Indian population. The current Indian population is over 1.32 billion. There is an immense need to control the population, so that job opportunities are available for everyone. There has been a drastic decrease in the production in the cottage industry. Due to this, many artisans have no jobs. Due to the massive industrialization in the manufacturing industry, the competition has increased by many times. There are mostly people from rural area employed in this business. After the decline of the small scale industry, they don’t have any other scope for employment. The Indian education system is just about mugging up of the syllabus and pouring it all in the exams. It is more marks-based than job-oriented. Due to this, there is a more educated unemployed population. 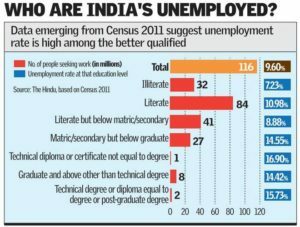 The Indian education system is one of the main reasons for the growing job crisis in the country. The students do not learn the skills required for the jobs. It results in their rejection from job interviews. The economic growth of India has been continuously decreasing resulting in lesser job opportunities for people. The slow economic growth is due to many reasons. The scheme’s launch by the government to increase the economic growth has not given the satisfying results. The government is lacking funds to generate employment and finance growth. The schemes implemented in the five-year plans by the government have not sufficiently contributed to the generation of job opportunities. These schemes have not matched up to the expectation of increasing economy to generate sufficient employment. There has been a gap between these two, and sufficient job opportunities are not there. Though the agricultural sector provides 51% of the total employment opportunities, still it contributes just 12%-13% to the Indian GDP. It is because of its seasonal nature. People are left unemployed for a specific part of the year when there is no harvest. Also, the problem of disguised unemployment has contributed to the decreased GDP. The agricultural sector is not provided with the proper irrigation infrastructure and still uses the outdated cultivation techniques. People don’t have enough capital to invest to start their industries. It is the reason why people are not keen on self-employment techniques. They are not ready to take risks due to this. The slow growth of self-employment means that there are fewer industries to hire people. It indirectly contributes to the unemployment issues in the country. Unemployment affects the whole of the country and its individuals. The increasing rate of unemployment is a severe problem. Here are some implications of rising unemployment. With no job, people are resorting to various criminal activities to earn money. They feel it be the easier option to make money. With a decrease in job opportunities, there is an increase in crime rates. There is an increase in robbery, murder, bribery, etc. due to unemployment. The standard of living of people continues to be low due to unemployment. People do not have money to buy the essential amenities. It increases the poverty rate. People are dying due to starvation. They have no source of income. The skills learned by people are going waste. They have nowhere to use them. People are wasting their time searching for jobs. They lose their self confidence. Sitting idly for a long time makes people forget their talents and skills. Unemployed people lose faith in the government. They feel that the government is ineffective which fails to provide them work. It gives rise to political instability in the country. People do not value the peaceful means and democratic morals. Lack of job opportunities leaves the people in mental turmoil. They feel useless when not able to provide their families with basic amenities. It leads them into depression. Over the past years, there have been many cases of young people committing suicide due to the lack of jobs. The suicide rates keep increasing. It is a significant problem no one should ignore. Due to no jobs, people are ready to do any work with any amount of wage. Due to unemployment, exploitation takes place. The pay is not enough. Many people are involved in a job which requires a lesser workforce. It influences the pattern of employment opportunities in the country. A new study has found that it requires more than 7 million jobs to be created for the working-age population for India to keep its employment rate constant. The working-age population is increasing by 1.3 million every month. There is an average of one million Indians who enter the workforce each month, but the quantity of jobs created is only a portion of that number. The youth faces a severe problem in getting jobs. Even the youth who are graduating from top universities find it difficult to find employment. They have the campus placement drives to depend on for jobs. In a recent report, a few students from the top institutes like Indian Institute of Technology (IIT) failed to secure jobs after graduating. The education system is making the condition of the youth worse. Due to this, the youth of India sets up to protest against the government for the lack of job opportunities. They march on the street so that the government recognizes their anguish and helps them out. In the private sector, the employers, when questioned, said that the Indian youth does not have the required skills to be hired. They said that there were a large number of graduates than the jobs they can offer. In the government sector, unemployment has resulted in a large number of people applying for any government jobs available. More than 25 million people have applied for the posts which have only 90,000 vacancies in India’s state-owned railway operator. It clearly illustrates the imbalance between jobs and employable people. In a recent report in a national daily, it said that 129 engineers, 23 lawyers, a chartered accountant, and 393 postgraduates were among 12,453 applicants who were interviewed for 18 peon posts in the Rajasthan secretariat. Is it the future of the highly qualified population of Indian youth? These students complete their study under a lot of financial stress in the hope of securing a high paying job after studies. They take education loans but are unable to pay it back due to unavailability of jobs. It forces them to take up any position. The youth who got hired are also fired for their lack of skills. It is due to the lack of proper teaching skills in the universities. It creates anguish among the people, and they resort to illegal alternatives. Now, this is a significant concern for the country because the youth of the country are its future. If the future is in such a devastated state, it does not require the intelligence of an expert to know the state of the country in the future. The Government of India has taken several steps to eradicate unemployment from the country. Since it is a topic of growing concern, several schemes have been launched. The Integrated Rural Development Programme was started in the year 1978-79to ensure full employment opportunities and develop the skills of the rural population to improve their living standards. The program was launched in 1973-1974. It was started in 13 states and covered more than 70 drought-prone districts with an aim to remove seasonal unemployment. It aimed to tackle the particular problems faced by the drought-affected areas. National Scheme of Training of Rural Youth for Self Employment (TRYSEM) was launched in 1979. It is aimed at reducing unemployment conditions among the youth in the rural areas that come from the families below the poverty line. It seeks to facilitate them to take up self-employment and wage employment in the broad fields of agriculture and associated sectors namely industries, services, and business activities. The target groups involve of rural youths between the ages 18-35 years. The government has set up specialized agencies that hire people to work in the overseas companies. It aims to provide help to people to get employment in other countries. This program seeks to provide profitable employment to the urban unemployed and underemployed poor by providing self-employment as well as wage-employment opportunities to the urban population. It was formulated in 2005. It provides various wage employment programs to eradicate poverty. It aims to provide economic assistance to unemployed people. The Employment Assurance Scheme (EAS) was introduced in 1993 in the rural areas of 1778 backward blocks of 261 districts. The blocks that were selected belonged in the hill areas, drought-prone areas, tribal areas, and desert areas. It aimed to provide unskilled manual work for 100 days to the poor, unemployed people. The program was launched in April 1989. It aimed at employing a minimum of one member from each poor rural family for a period of fifty to hundred days a year. The families below the poverty line were the primary targets. (iii) the Scheme of Housing and Shelter Upgradation (SHASU). Under the first scheme, the urban poor is given financial support to establish micro-enterprises. Under the second scheme, wage-employment is arranged for laborers in cities with a less than 10 lakh population. Under the third scheme, the urban poor in the cities is given employment opportunities corresponding to their skills. Various other schemes and programmes have also been launched which aims to eradicate unemployment in multiple areas. However, there is a need to keep a check on these programmes to check their effectiveness and if necessary, revise them. The society has to change its viewpoint about white collar and blue collar jobs, along with a change in the education system. Unemployment is a problem which will take a lot of time to get over completely. A change in the attitude of the people towards different type jobs will encourage people to start any business they want. Though the government has launched so many schemes, yet the unemployment has not decreased as expected. People should take up self-employment and create job opportunities for themselves. They should not wait for others to create jobs for them. The government of India has started a scheme of providing financial assistance to start-ups. Birth control should be practiced to deal with the problem of overpopulation. The people living in rural areas should be educated about the overpopulation issue. The Indian education system has to be job-oriented. It should focus more on the needs of the business world than marks. Unemployment is not a problem that can never be solved. It just requires the cooperation and strong will of the government, industry, and academia.